In business, individuals or companies often borrow money or assets. The lender charges a fee for the use of the assets. Interest is the fee the lender charges for the use of the money. The amount borrowed is the principal or present value of the loan. The future value (also called the accumulated amount or maturity value) is the sum of the principal and the interest. This is the amount the present value grows to after the present value and interest are added. The interest rate r is the decimal form of the interest rate written as a percentage. This means an interest rate of 4% per year is equivalent to r = 0.04. In this text, we use the variable names commonly used in finance textbooks. Instead of writing the present value as the single letter P, we use two letters, PV. Be very careful to interpret this as a single variable and not a product of P and V. Similarly, the future value is written FV. This set of letters represents a single quantity, not a product of F and V. This allows us to use groups of letters to represent quantities that suggest their meaning. If we know two of the quantities in this formula, we can solve for the other quantity. This formula is also used to calculate simple interest paid on investments or deposits at a bank. In these cases, we think of the deposits or investment as a loan to the bank with the interest paid to the depositor. An investment pays simple interest of 4% per year. An investor deposits $500 in this investment and makes no withdrawals for 5 years. a. How much interest does the investment earn over the five-year period? c. Find an expression for the future value if the deposit accumulates interest for t years. Assume no withdrawals over the period. This relationship corresponds to a linear function of t. The vertical intercept is 500 and the slope is 20. This tells us that the initial investment is $500 and the accumulated amount increases by $20 per year. 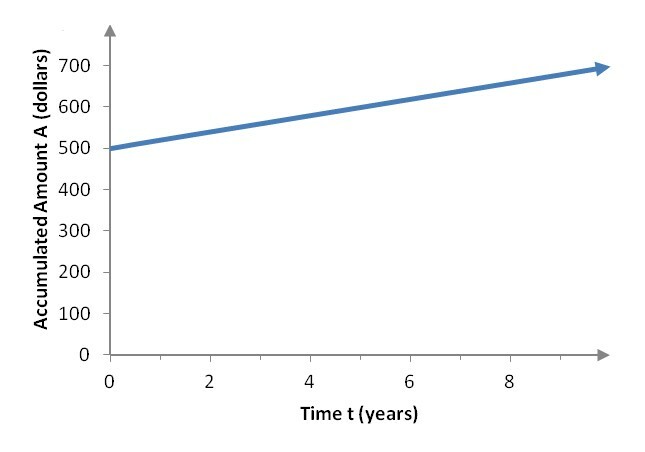 Figure 1 – The linear function describing the accumulated amount in Example 1c. A small payday loan company offers a simple interest loan to a customer. They will loan the customer $750. The customer promises to repay the company $808 in two weeks. What is the annual interest rate for this loan? This decimal corresponds to an interest rate of 201% per year. Because of such high rates, many states are passing legislation to limit the interest rates that pay day loan companies charge.